Natural Health Works offers a range of treatments to patients for occupational and work related strain. Occupational injuries account for many of the 350 million working days a year lost in Britain. Poor posture can contribute to daily aches and pains whether you lift heavy loads, sit at the PC incorrectly or drive for long periods. 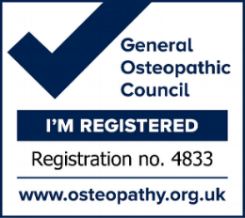 An osteopath can advise on correct posture and movement and can give instruction on back care and preventative exercises. Osteopaths are trained to have a thorough understanding of anatomy and physiology, they use their hands to investigate and treat injuries to the ligaments, muscles and joints. Working for both Employees and Employers, Osteopaths are skilled at discovering underlying causes of pain.